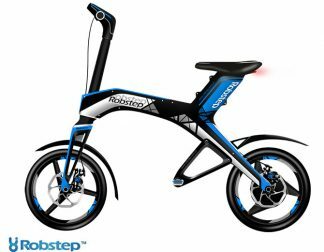 For all speed junkies out there, this is the electric scooter of your dreams. 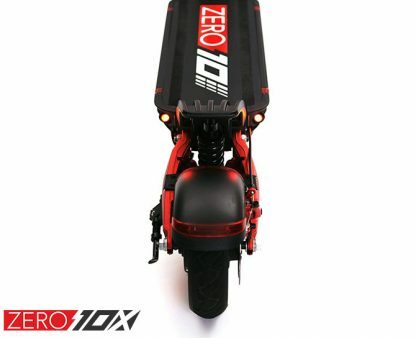 The ZERO 10X gives you incredible power, speed and performance at a great price. *New long and stronger locking clamps in both versions. 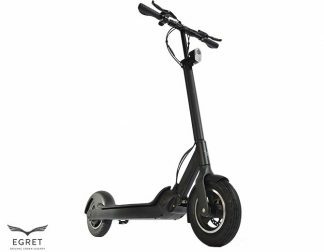 *52V 24Ah version comes with 2 chargers included for fast charging. Already 83 persons shown interest. 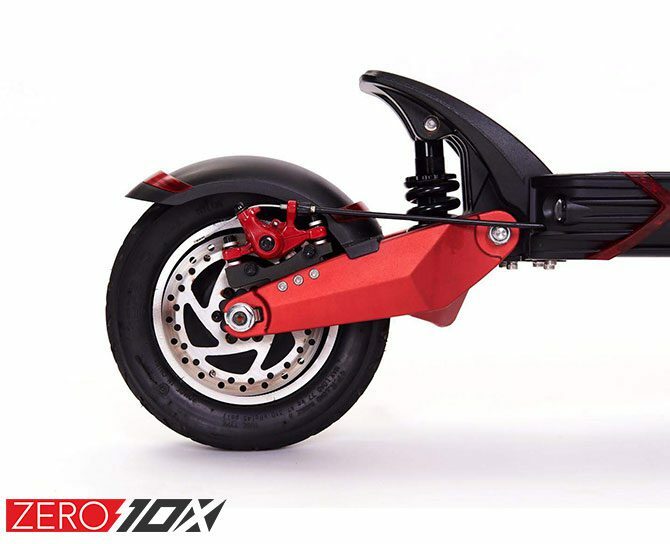 The first thing you will notice is the striking suspension arms connecting the wheels to the body. These suspension arms are propped up by 2 hydraulic/spring shock absorbers for that added comfort. 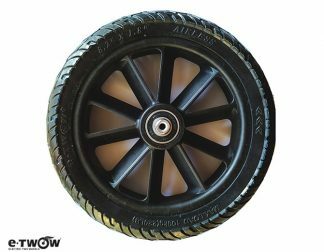 Then comes the delight of realizing that both wheels have hub motors in them. 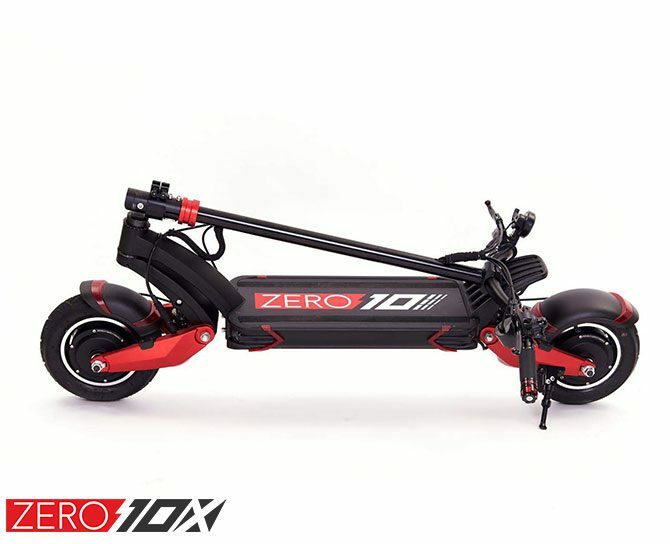 Switchable between a single drive and a dual motor drive, the ZERO 10X allows the rider to switch between 2 modes: the ECO mode and the TURBO mode. 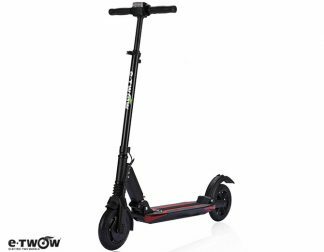 Its performance beats all other e-scooters in its price range, making the Zero 10X great value for money if you like high-performance e-scooters. 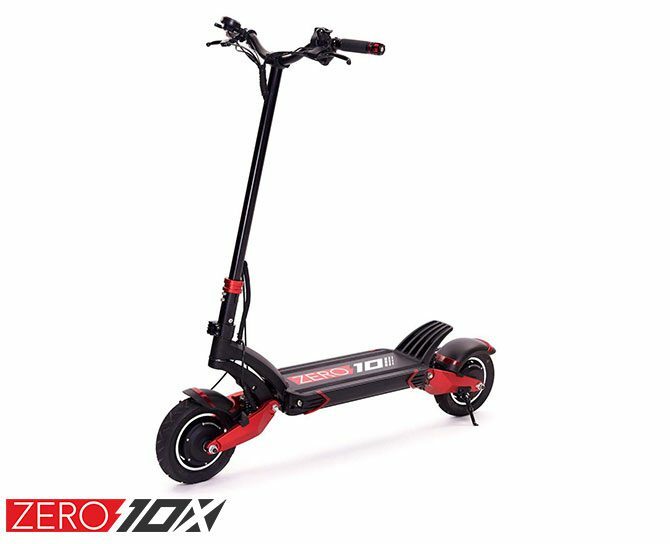 The ZERO 10X is a high-performance dual motor drive, dual suspension e-scooter that brings off-road performance into the urban environment. 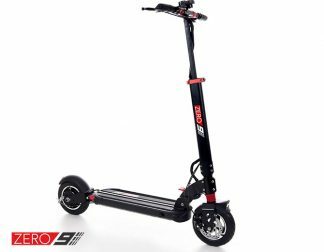 The ZERO 10X e-scooter is able to hit a top speed of up to 65 kph** and has a range of 85km* in a single charge. 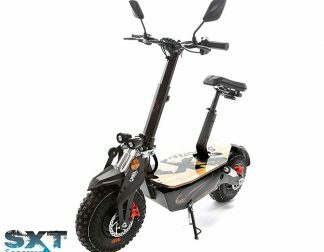 With its 10 x 2.5 inch tires and front and rear spring hydraulic suspension that allows this scooter to easily handle the bumpiest of roads. 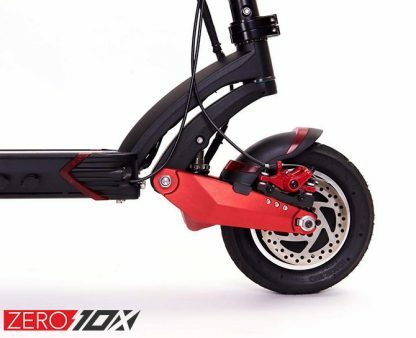 Its performance outranks all other e-scooters in its price range, making the ZERO 10X great value for money alternative to other high-performance e-scooters like the Dualtron. The Dual 1000W hub motors on the ZERO 10X Dual provides a nominal total power output of 2000W and a peak power output of 3200W. 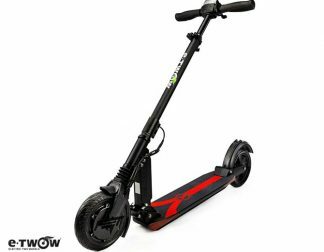 This 3200W power output is powered by 2 x 25A speed controllers with massive heat sinks to dissipate heat as quickly as possible, maintaining optimal performance of the e-scooter at all times. *ECO model 30kph single drive.